The amount of flying insects living in Germany has dropped precipitously over the past 25 years, according to a new study. Dozens of amateur entomologists across the country cooperated to take more than 1,500 samples of all flying insects across 63 different nature reserves, which were then weighed. Their findings suggest we’re seeing massive insect deaths in the country and likely beyond. The annual average was found to have dropped 76 percent by weight over a quarter of a century, whereas the figures for summer–when insect life is at its peak–dropped a staggering 82 percent. These figures are troubling in their own right. However, the greater effect of a reduced insect population comes from the creatures’ place in the wider animal kingdom. 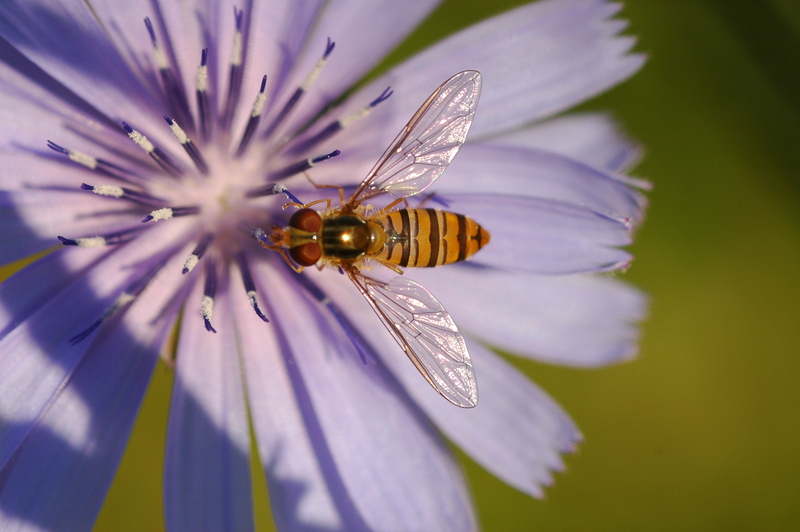 Flying insects pollinate flowers, provide food for a host of animals, control pests, and contribute to vital decomposition processes. Simply put, there are sure to be some major ecological effects if their populations continue to drop. Scientists don’t know exactly why the decline is so severe. The destruction of habitats, increased pesticide usage, and climate change are all being raised as contributing factors for insect deaths. Perhaps the most disturbing aspect of this study is the fact that numbers are dropping in conservation sites. All of the locations where samples were taken are said to be well-kept, which might indicate that the situation is even more dire elsewhere. The next step for the research is to corroborate these findings with other areas. There are also plans to find about more about the general insect population by studying non-flying creatures, which may actually be faring better. In response, we will also need to take stock of activities that we know have a negative effect on the amount of insects in the environment. That means reducing our usage of harmful pesticides, and ensuring that spaces conducive to insect life are preserved.